Rocky Jordan is a hard boiled detective banished by enemies from St. Louis, Missouri and relocated to Cairo, Egypt. It is in Northern Africa where Rocky Jordan owns and operates his gin joint Caf Tambourine and finds as assortment of mystery and intrigue while unwillingly moonlighting as a crime fighter. Rocky Jordan fought murderers, thieves, scoundrels, scallywags, ex-Nazis, and countless beautiful dames who got him into trouble. Cairo's Police Chief Sam Sabaaya is an Egyptian Muslim and a strictly adheres to the law, he's always there to cuff the bad guys at the end of the show. Often Rocky Jordan is solving crime only to clear his name and save his neck. Chief Sabaaya's Sgt Greco often finds Rocky Jordan to be the primary suspect. 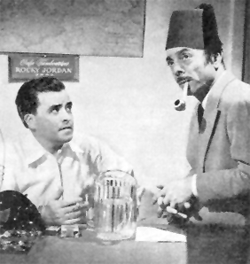 The writers of Rocky Jordan, Larry Roman and Gomer Cool, strived to create an authentic North African feels to the show. The theme music featured Middle Eastern music by Richard Aurandt and all street names in the show were real street names in Cairo. Later an Egyptian writer helped the producers with even more authentic details of the city of Cairo. The first version of the show was called A Man Called Jordan was exactly the same series except, Jordan resided in Istanbul Turkey. The two known surviving episodes of A Man Called Jordan are included in this new collection. Sponsored by Del Monte Foods, Jack Moyle starred as Rocky Jordan in the broadcasts in this collection. 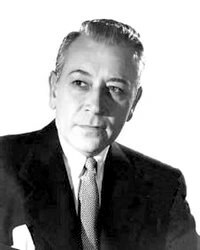 George Raft later took the role in the summer series of 1951 and 1952. For more George Raft detective performances, see also: Mr Ace. 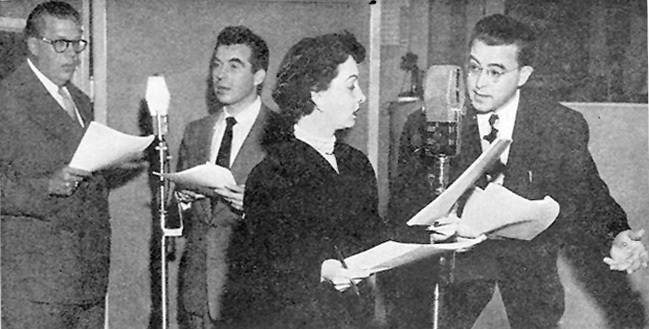 Interesting series from around the time radio was very mature and competing with TV.